I am guilty of saying that every species is my favorite species, but it can’t be helped. Each conjures recollection of some wild ride required to collect the thing in the first place. Ruellia menthoides is one such special species with a special story of discovery. I’ll leave it at that for now. What a beauty. 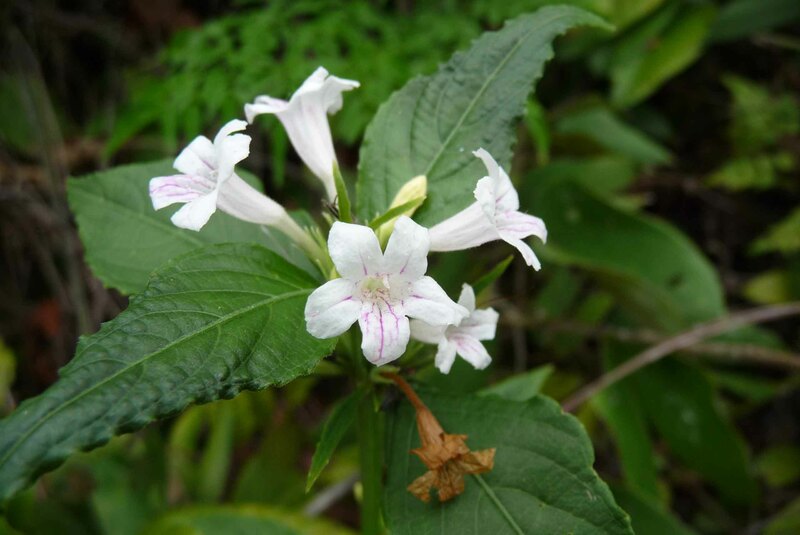 This is a highly distinctive locally endemic species of the Venezuelan flora… first seen and collected with my most terrific traveling companion Manuel Lujan in 2009. Note the characteristic pink stripes on an otherwise stark white corolla.